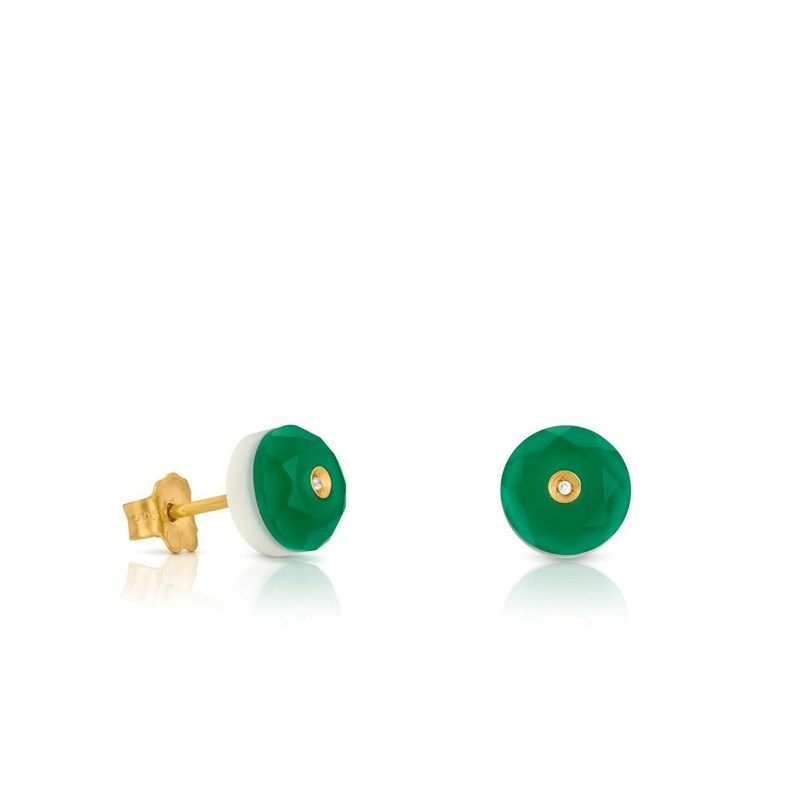 18kt yellow gold TOUS Bright earrings with diamonds and green quartz. Total carat weight 0,008kt. Stud lock. Motif: 8,5cm.